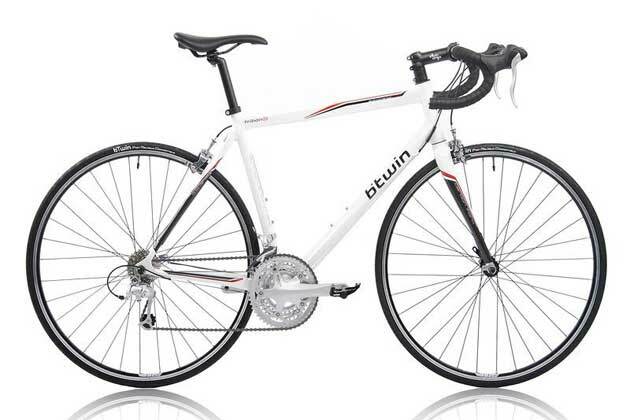 The B’Twin range of bikes sold through Decathlon’s sports superstores always represent incredible value for money, even when there aren’t any promotions on. But when they do something special, well, it really is special. Right now you can buy a Triban 5 aluminium-framed bike with carbon seatstays, carbon fork, and a Shimano Sora triple drivetrain for £399 – that’s a full £100 off what was already a laudable retail price. The one catch is that there is very limited stock, so contact your nearest Decathlon store without delay. The Triban 5 has been around a while, but to see our very own James Shrubsall’s exclusive review of the all-new, soon-to-be-released B’Twin Triban 500SE, pick up a copy of Cycling Active magazine’s March issue, out this week.